2013 Gympie Muster Talent Search winner John Flanagan has received a grant through Arts Australia Council to record his next album in Nashville. John will be working with producer Viktor Krauss, the brother of Alison Krauss, who is a world-renowned musician and composer in his own right. Through a combination of self-funding, crowd funding and the grant, John plans to create an album that is on par with the quality of a record company release. John will travel to Nashville in Sept to record with Viktor and top session musicians who have played with the likes of Bob Dylan and Robert Plant. Classic-yet-refreshing songwriting and captivating lyricism –Inpress Magazine. 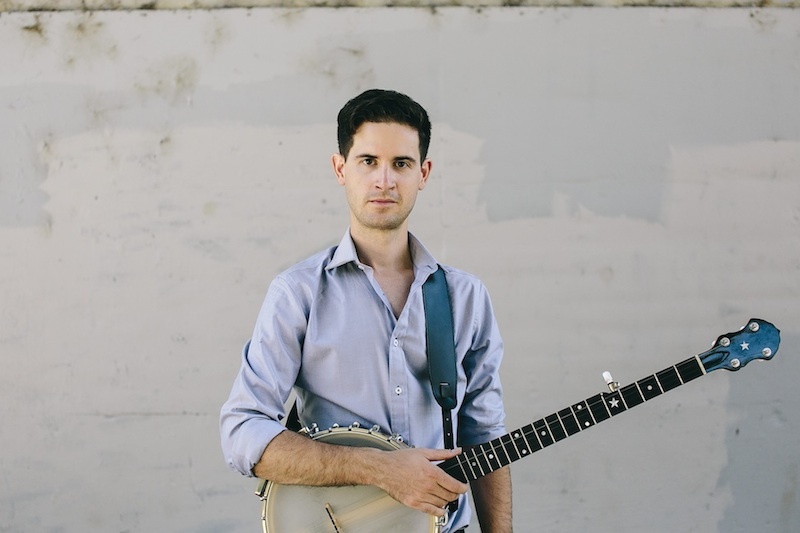 In the past few years John has brought his banjo driven alt-bluegrass to major folk festivals around Australia and he has toured to the US. Audiences are drawn to the timeless melodies and honest lyricism of the songs. John has been a two-time finalist in the Toyota Starmaker Competition in Tamworth and in 2013 he took out the Gympie Muster Talent Search, an accolade he shares with past winners such as the McClymonts, Drew McAlister and Mark O’Shea. John plays regularly with fiddle player Jane Patterson whose strong, soaring vocals harmonise perfectly with John’s low, warm vocal timbre. Together they combine traditional old-time instrumentation with contemporary sensibilities to create an alt-bluegrass/folk sound that is both familiar and new. John Flanagan has a gentle gravity in his voice and words, the kind that makes you stop and listen – Wally De Backer (gotye). John will be using crowd funding to cover one-third of the album budget. People will have a chance to be a part of this album by pledging financial support through pozible.com and receiving rewards in return. Rewards could include: a signed copy of the album, a thank you in the liner notes, a personalised song written for you, or a concert by the band in your very own home. John will be promoting the crowd-funding campaign with gigs in Melbourne and Sydney. Sydney: 26th July – 7:00pm Little Features @ Hibernian House, 342 Elizabeth St.
Sydney” 27th July – 4:00pm Menagerie @ The Welcome Hotel, 91 Evans St Rozelle.